The Veracity VAD-PS PointSource Battery PoE Injector is a rechargeable and portable battery that includes PoE status LEDs, a separate charging adaptor, an adjustable shoulder strap, and a set of color-coded network cables. 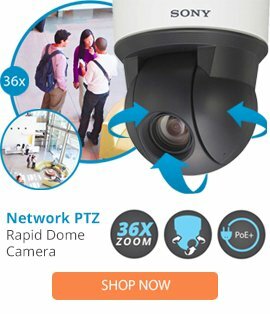 It allows you to install IP cameras anywhere even if power or network connection is not available. Designed to use with PoE enabled devices such as IP cameras and wireless access points, the injector offers applications such as on-site configuration, site surveys and pre-installation trials, customer demonstrations, and mobile and temporary installations. When the PointSource is used as an installation tool, there is no need for trailing cables or return visits to site in order to set up IP cameras when power or PoE is available. Compliant with the universal 802.3af PoE standard, the battery can deliver PoE power up to 15.4W along with powering other 12V accessories. The easy-to-use battery automatically offers and controls power delivery to IP cameras on network. It also offers a direct network connection to the camera by connecting a second patch cable to a PC or laptop. You can use a fast, secure spring terminal connection for connecting a 12V device to the PointSource battery. The 12V output can be used simultaneously or independently of the PoE supply to supply power to monitors, meters, and non-PoE enabled cameras.